Many startup entrepreneurs will say that dealing with crap is part of the everyday routine, but few can own the statement the same way as can David Auerbach. His company, Sanergy, provides improved sanitation to urban slums and turns human waste into energy and goods. His business is in the toilet, which is right where he wants it to be. There’s a lot to admire about Sanergy. For starters, the name is brilliant. While people might not flinch when it comes to discussing clean water, sanitation is a global problem less appealing to address. “San” nods to the issue without making it difficult to approach. “Sanergy” also works like a shortened version of sane energy, which is a byproduct of the waste removal process. The name functions on many levels–an elegant touch for a potentially off-putting business. Local entrepreneurs will own and operate each facility, creating a franchise of toilets. Rather than foist a solution on an already challenged populace, Sanergy empowers people to clean their environment while providing jobs. The company creates an absolutely winning industry. During an English teaching stint in China’s Hunan Province, Auerbach watched people use deplorable outhouses and open pits as latrines. He decided that people shouldn’t have to live in such conditions. When he returned home, he attended MIT’s Sloan School of Management. Auerbach took a class tasking students with finding business solutions for global problems. There the idea for Sanergy took hold and the early team formed. 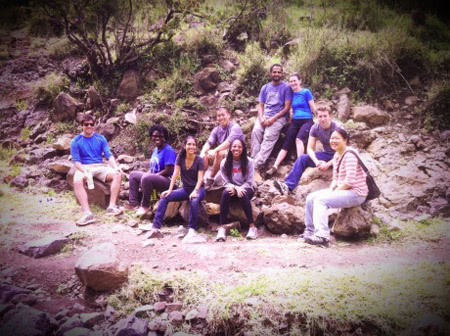 Grants allowed the crew to travel to Kenya and test a pilot program. Later, Sanergy won the MIT Business Plan contest and $100,000 grand prize. 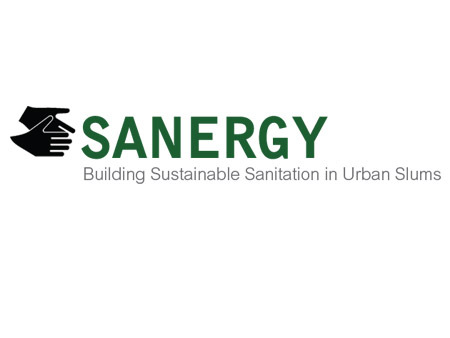 The money has been put toward expanding the Sanergy toilet franchise, helping them move toward their goal of creating 6,000 toilets, which will be used by more than 500,000 people and employ at least 3,000 people. Lack of hygienic sanitation and proper waste management facilities taxes the lives of over two and a half billion people. Diseases related to inadequate sanitation services kill 1.8 million children annually. The problem is acute in Kenya where eight million people inhabit slums. Sanergy doesn’t rely on groundbreaking technology, but provides a cost-effective system for removing waste. If their business model scales successfully and grows a sustainable sanitation system, they will make a beneficial impact on human living conditions that can’t adequately be praised.